Welcome to Gervais & Vine, Columbia’s premiere wine and tapas bar. 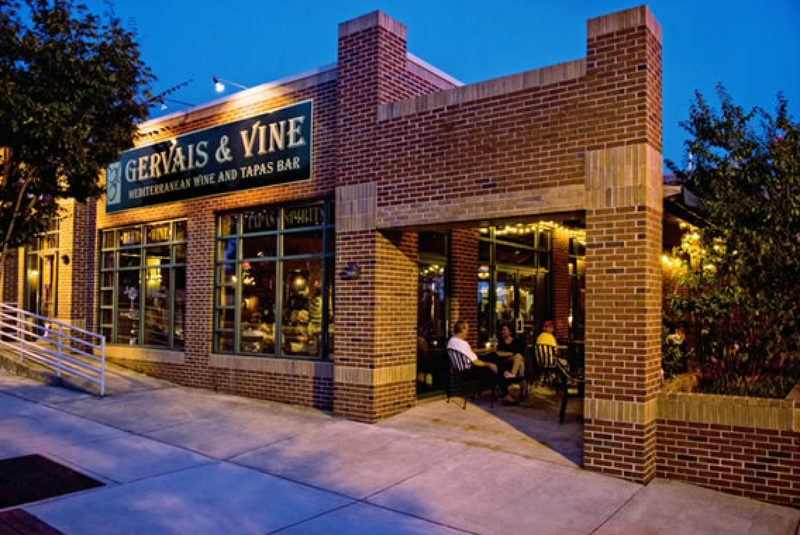 Located in the beautiful Congaree Vista, Gervais & Vine is a Spanish-styled tapas bar with culinary influences from all across the Mediterranean. In addition to over forty wines by-the-glass, we also offer a wide selection of craft beers and top-shelf spirits. As our guests, you are free to enjoy a small bite or load your table with many different tapas to share without ever running out of choices. We have beautiful outdoor seating and a lively bar area in addition to a more intimate area of seating. Like nearly every tapas bar in the world, we do not take reservations. We hold wine tastings, winemaker dinners and many other special events that revolve around food, drink and fun. You can find them on the Happenings page. We also have a Wine Club that introduces members to new and exciting wines they normally wouldn’t seek out. Thank you for visiting our website and please contact us if you have any questions.